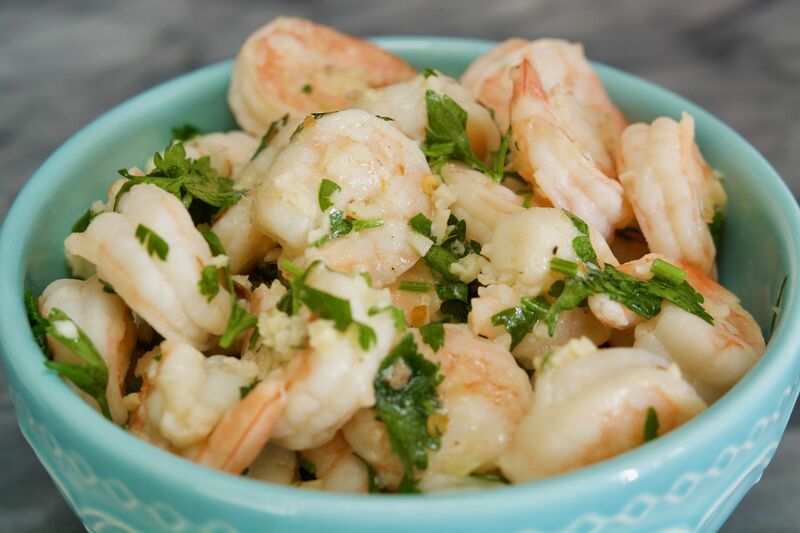 Given that for some reason I ended up with three heads of garlic in my kitchen, I decided to use it to make this delicious recipe for garlic shrimp. It’s so easy and so basic that I’m pretty sure you already have most of the ingredients at home to make it. 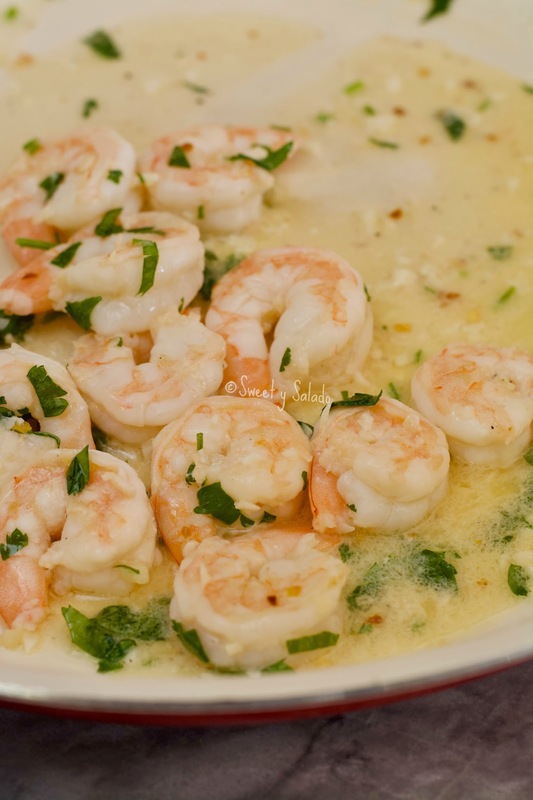 I usually make it with lemon juice because it goes so well with the shrimp and garlic but every now and then I substitute it with white wine and it comes out amazing. 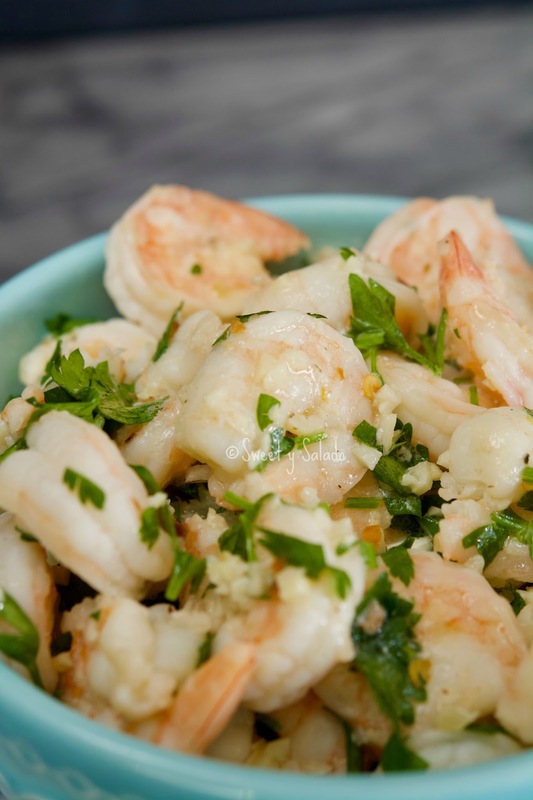 You can also add the red pepper flakes if you like it a bit spicy but if not, you can add some paprika, especially if you want to give it a nice touch of color. 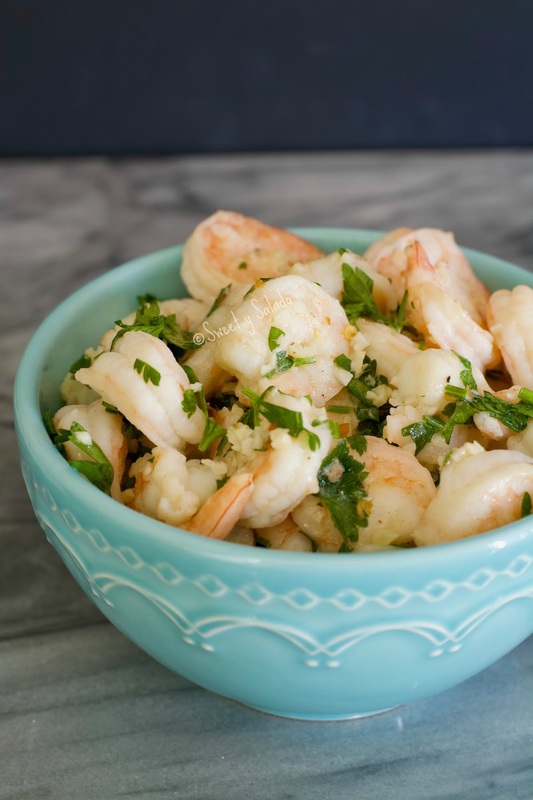 The great thing about this recipe is that you can serve it with with rice, pasta, bread or even tortilla chips if you want to serve the shrimp as a delicious appetizer. Melt butter with the oil in a large pan over medium heat. Add the garlic and pepper flakes and cook for about one minute. Add the clean shrimp and cook for about 3 minutes or until they're pink. Right before the shrimp is ready season with salt and pepper and add the lemon juice. Remove from the heat and add the chopped parsley. Serve immediately.